History has a way of captivating our imagination. Remembering the past often conjures romantic notions. In the film Midnight in Paris, the main character Gil is a nostalgic writer, longing for a bygone era. When the clock strikes midnight in Paris, Gil magically stumbles into a different era, where he meets the likes of F. Scott Fitzgerald and Ernest Hemingway. In his dreamlike adventures, he befriends a beautiful woman, who herself wishes she lived in a more idyllic time. This national gem is in the process of being fully restored to its original grandeur, featuring fine architectural and design details. Each room’s décor is carefully executed with custom-made furnishings, including many original pieces. Décor styles range from opulent French Rococo to lavish Neo-Renaissance. The mansion’s restoration process is painstaking: each room’s furnishings, wallcovering and accessories are precisely placed to emulate period photographs. Suitable materials, fabrics, colors and patterns are used to recreate time-authentic spaces. To ensure that each detail is true to the time period, a Historian is employed full time. Each book in the Library and every tea cup in the Parlor is authentic to the Mansion’s era. This preservation of history is spectacular. 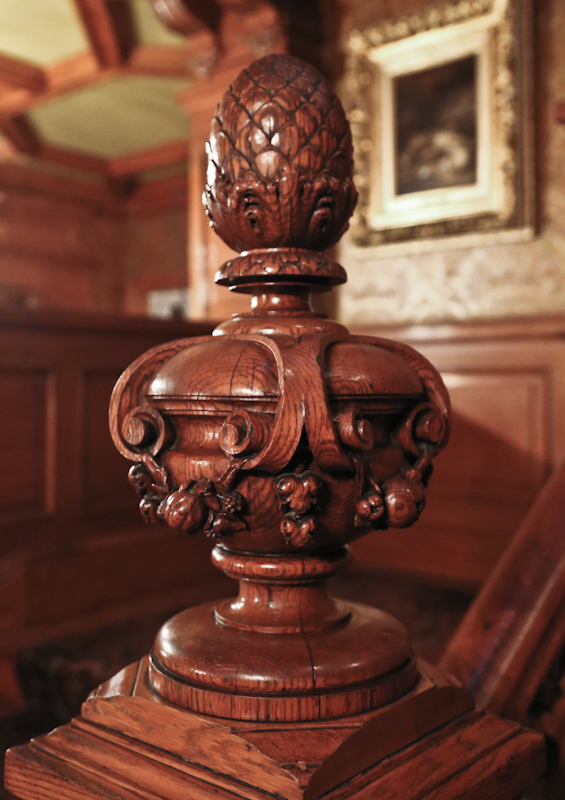 A hops finial adorns every newel post up the staircase at the Pabst Mansion. 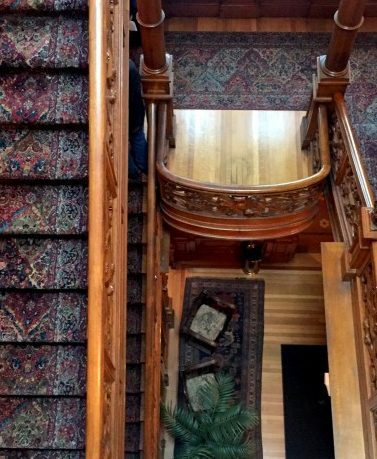 From the exterior ornamentation to the exquisite interiors, the Pabst Mansion is filled with fine features. Front porch archways are replete with Neo-Renaissance detailing. Inside, the grand staircase is enhanced by wood-carved-finials, designed to replicate a hops seed cone, to reflect the Captain’s passion. 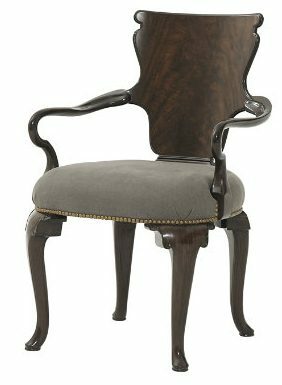 Adding an elaborately carved cabinet, or a whimsical chair to your room gives your space a collected feel. 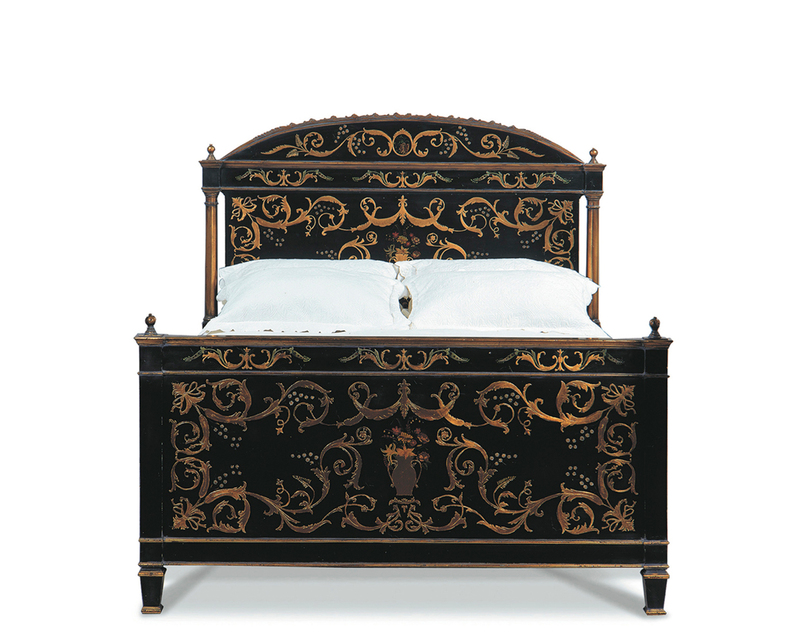 Make a striking statement with a hand painted furniture piece, like the bed pictured above. All products available to order through Haven Interiors Ltd.
2. Every room should tell a unique story. 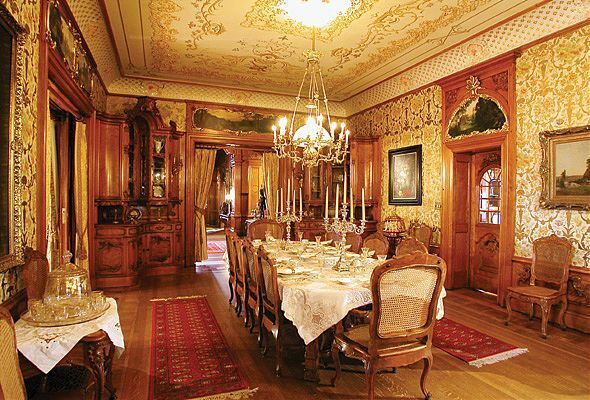 Formal dining room at the Pabst Mansion. Entrance hall of the Pabst Mansion, flows into the Ladies’ Parlor. 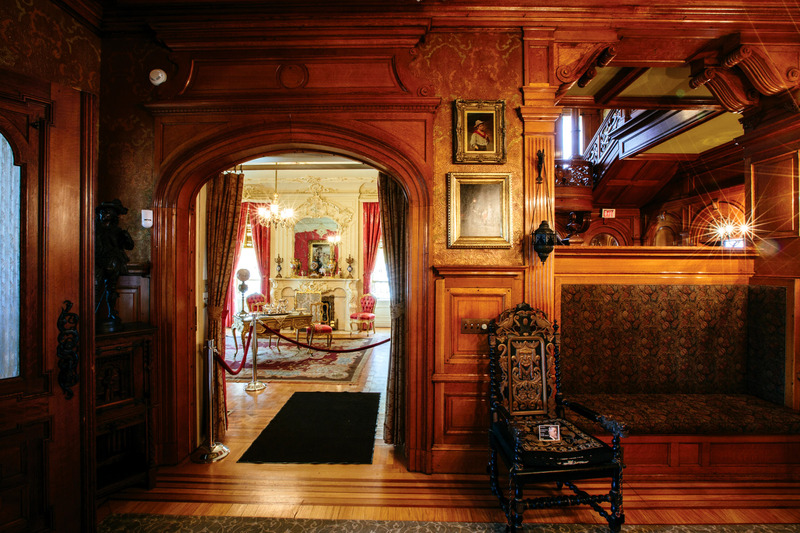 Each room has an individual panache in the Pabst Mansion. The Parlor was designed as a gathering place for well-dressed ladies. The room features curvilinear shapes, with light walls gilt with gold flourishes, which typify the Rococo Revival Style. In contrast, the Library, otherwise known as the Smoking Room, was the epitome of masculine: an oak coffered ceiling, carved wood wainscot, walls hung with paintings and hunting trophies. The Captain had his favorite German proverbs hand-painted onto the wood panels. As one room flows to the next, even the doors coordinate: the front side of the door and the backside of the door each reflect the style of room they face. Adding a ceiling detail gives the room an entirely different effect. Interiors designed by Haven Interiors Ltd.
3. Quality craftsmanship never goes out of style. 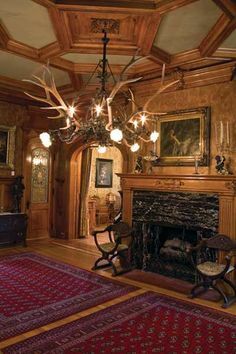 Left: A coffered ceiling in the Entrance Hall is illuminated with an antler chandelier. 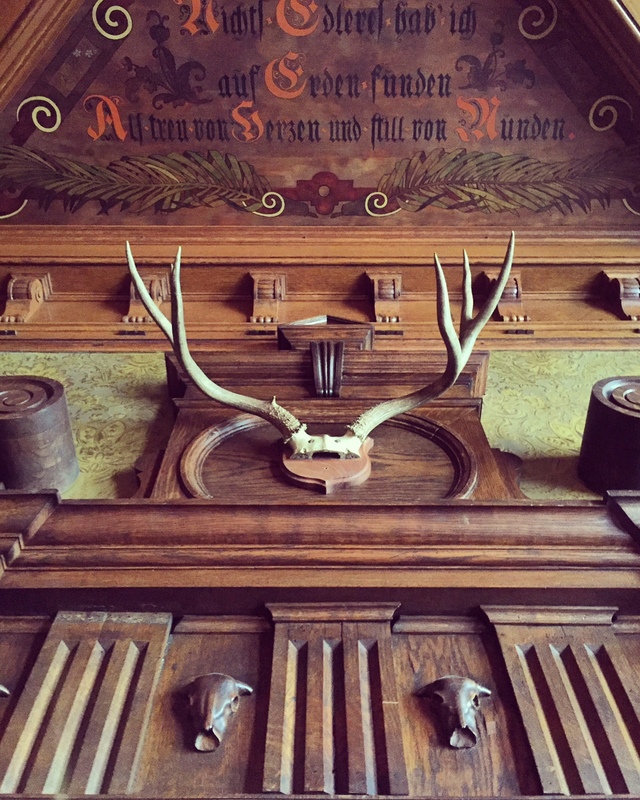 Captain Pabst was an avid sportsman, you’ll find antler details throughout the mansion. Above: An ornamental runner in hues of reds and blues, guides visitors up the Grand Staircase. Many original furnishings, tapestries and works of art adorn the mansion’s interior, which is a testimony to well-made design. 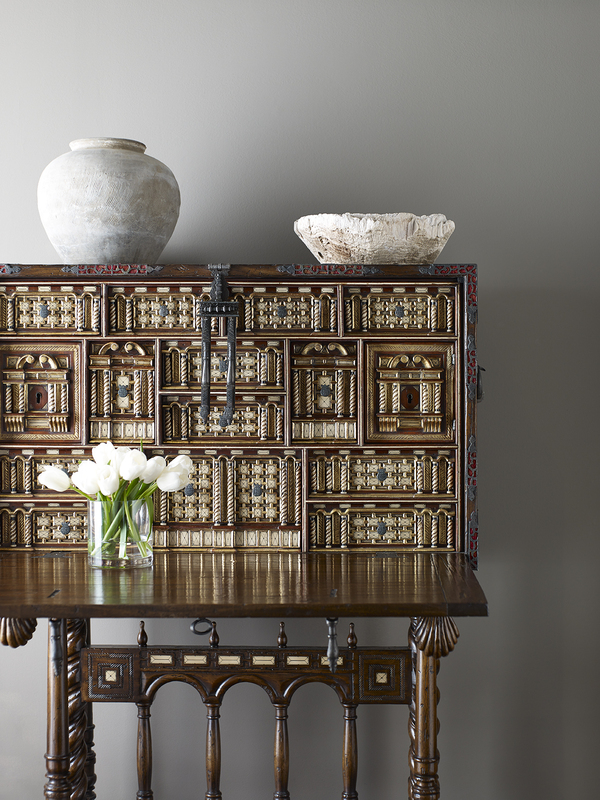 Quality materials, hand-carved details, hand-painted designs, fine craftsmanship are timeless. Beautiful, refined design is worth repeating. 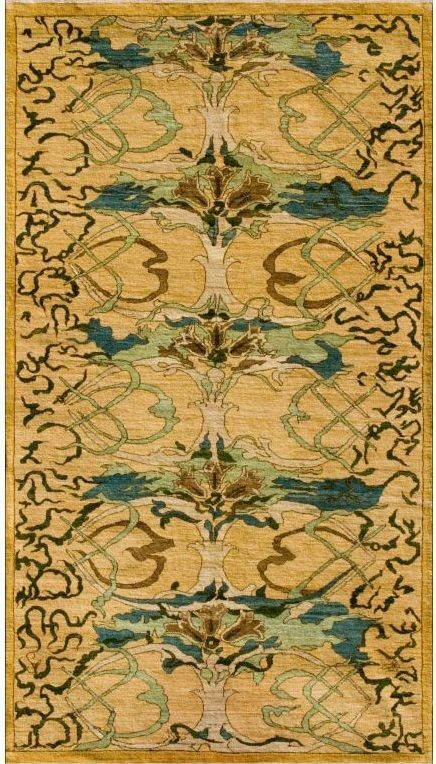 Classic furniture, handmade rugs, and woven textiles will remain relevant for generations to come: history is our best teacher. 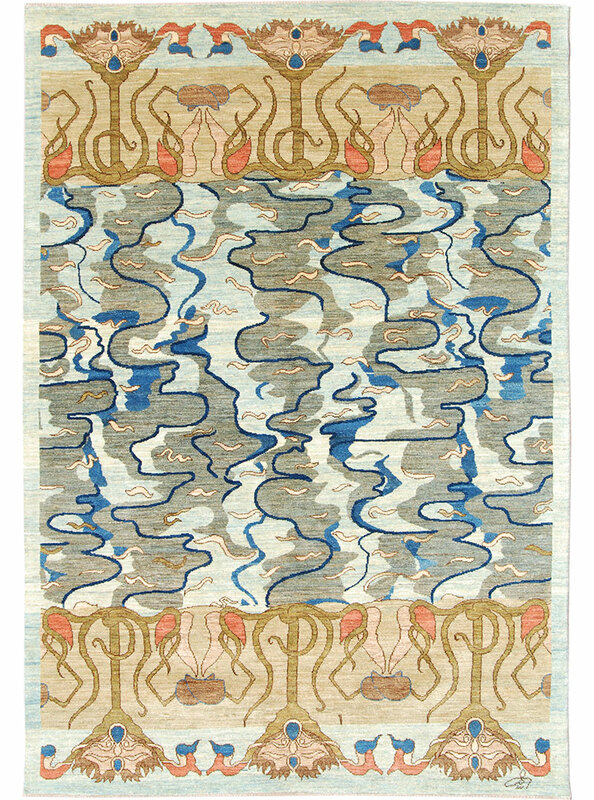 Handmade textiles and area rugs are true masterpieces and considered one of a kind antiques today. 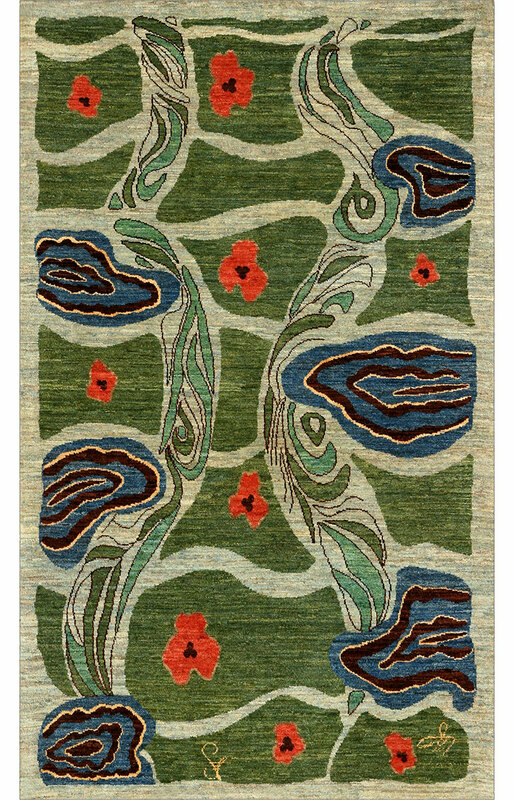 Distinctly creative carpets, made by long forgotten techniques, act as usable art for your home. Available for special order through Haven Interiors Ltd.
We highly recommend a little dose of time travel: Inspiration awaits!